Canadian PM on the Coptic Situation! 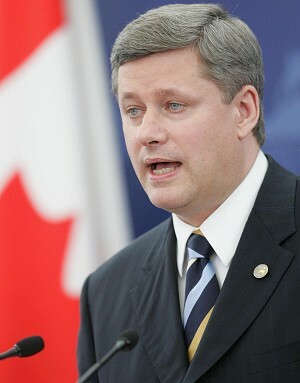 OTTAWA – Prime Minister Stephen Harper has condemned the violence against Coptic Christians in Egypt. “Canada is a tolerant, multicultural country with a proud tradition of defending religious minorities around the world. We stand behind the Coptic Christian community and their right to practice their faith in safety and security, free of persecution. This is a universal human right and one which our Government is committed to defending,” he said in a statement. Muslim-Christian clashes have left a dozen people dead and a church was badly damaged, according to reports from Cairo. “Recognizing that religious pluralism is inextricably linked to democratic development, our Government has committed to creating a special Office of Religious Freedom to monitor and help ensure religious minorities can practice their faith without fear ofviolence and repression,” Harper added. Previous Post United Nations On The Coptic Situation!